July 23, 1985. Please standby for the presentation of the new Amiga 1000 from Commodore Business Machines. I am old. Oh so very old.... and if not for Commodore Amiga (namely the legendary 500 model) there would not be Shiryu Music. But this blog is all about video games, so let me just say that the Commodore Amiga was the first time ever we had arcade quality games in the confort of our homes. My first floppy disk? The original and Amiga exclusive (later ported to Megadrive) shmup Battle Squadron. Please note that before this I had a ZX Spectrum. Imagine my young mind being blown away by it’s 16 bit graphics and sound. Speaking of sound, one of the earlier game soundtracks I had to record on tape so I could listen to it on the go on my Walkman: Turrican. It’s sequel was even better! So my all time favourite Amiga game? Speedball 2: Brutal Deluxe. All the time, every time. ICE CREAM! I SCREAM! Good times and also a many good amount of broken joysticks directly related to The Bitmap Brothers futuristic sports classic. 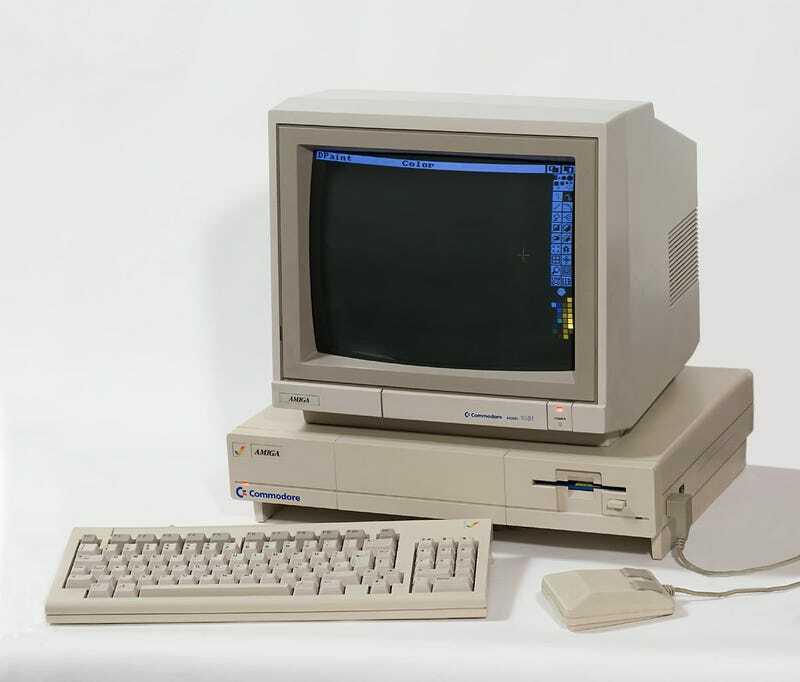 The Commodore Amiga was many things to many people who are still today in the industry. For some a games machine, for others a multimedia production studio. For a few chosen ones, a wonderful programmable and powerful machine. But for everyone who had the luck of owning one during Commodore’s golden years a life changing piece of tech that shaped lives. I am one of those. I would not be the IT do-it-all guy, music artist wannabe I am today if not for Commodore’s 16 bit computers. I wonder if History would not run its current course and IBM would not dominate the PC market, would we be working on Amiga workstations or browsing the Internet on Amiga OS... Happy Birthday Amiga! Thank you for everything.